Following a period of 12 months since the EU Withdrawal Bill (the “Bill”) was first introduced to the House of Commons, Parliament has finally approved the Bill on 20 June 2018 which will repeal the European Communities Act 1972 on the day the UK leaves the EU, thus ending the supremacy of EU law in the UK. British Prime Minister Theresa May described Parliament’s approval of the Bill as an “important step in delivering the Brexit people voted for, a Brexit that gives Britain a brighter future, a Britain in control of its money, laws, and borders”. The approval of the Bill follows intense Parliamentary debate concerning whether Parliament will be consulted if no exit agreement is reached with the EU. Rebel Tory MPs sought to amend the Bill to give MPs a say in deciding how the Government will proceed if no deal is reached with the EU by 21 January 2019, jeopardising the approval of the Bill in light of the Government’s slim Parliamentary majority. However, enough of the rebels were appeased by the promise from the Government that the Speaker of the House of Commons, John Bercow, will be given the right to decide whether MPs are given a “meaningful vote” in the event that no exit agreement is reached. Now that the Bill has been approved by Parliament, it will pass into law in the coming weeks when it is given Royal Assent; a process that does not involve any further debate. The Bill is the first of a number of bills required to be approved by Parliament in order to ensure an orderly UK exit from the EU. 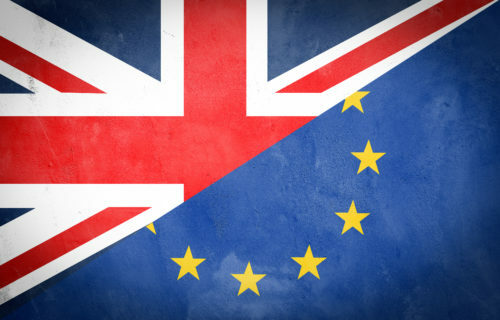 Other bills to be approved include the Customs Bill, which will legislate for the UK’s future customs, VAT and excise regimes outside of the EU, and the Trade Bill, which is designed to provide trading continuity for individuals, businesses and international trading partners. the UK will not be prevented from replicating EU law made after the UK’s exit from the EU in UK law and from continuing to participate in EU agencies.